With a new year comes new beginnings, a new mindset, new focus, new start, new intentions and new results. It’s time to reboot! With that in mind, FORWARD is moving towards independence. As mentioned in our last newsletter, the DuPage Foundation will become FORWARD’s fiduciary agent rather than the DuPage County Health Department. The DuPage Foundation will assist with fundraising efforts and provide financial and administrative support. 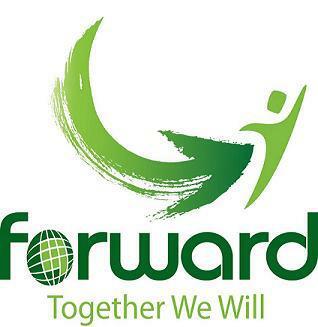 FORWARD will affiliate under the Foundation’s 501(c)3 status but will remain independent. FORWARD’s Board of Directors will make decisions and carry out priorities. Since 2011, thanks to our partnership between the DuPage County Health Department (DCHD) and the Regional Office of Education, the DuPage County BMI Surveillance of Kindergarten, Sixth and Ninth grade students continues. In addition, since 2014, DCHD has been monitoring the obesity rate among DuPage children aged 2-4 years that are enrolled in the USDA’s special supplemental nutrition program for Women, Infants and Children (WIC). More than one in seven (14.8%) kindergarten, sixth grade, and ninth grade public school students in DuPage County were obese in 2016-2017. Additionally, 44% of all obese students had an elevated blood pressure reading. Obesity among DuPage County children aged 2 to 4 years enrolled in WIC (15.1% in 2016) was higher than the national obesity rate among this same group of children (14.5% in 2014), and was higher than the most recent national estimate for children aged 2 to 5 years (8.9%), stressing the need for early intervention. In 2015, almost one in four (24.3%) of surveyed DuPage County adults reported being obese and while DuPage County ranked number one as least obese in the state, we ranked #21 nationally. Click here for more information on the methods, statistics, and resources. We encourage you to share these new results with your community. Lastly, if you are interested in getting more involved with FORWARD or one of our strategies - Healthy Early Childhood, Healthy Schools, Worksite Wellness, Healthy Municipalities and/or to improve the health of DuPage residents, please contact Tonia at toniabato@gmail.com . May the new year bring you an abundance of joy, prosperity, peace and good health. Happy New Year! Five years ago, Lombard School District 44 received a small “Get in the Action” grant from FORWARD in partnership with Action for Healthy Kids. This grant supported the start of their Walk+Roll to school program at Hammerschmidt Elementary in Lombard. While the grant has long been over, the program is going strong. It was formally adopted as a PTA Program and is now in its sixth year. Walk+Roll is a two-week program to help increase physical activity of students by building a culture of walkers and bikers. Kids set a goal of biking or walking to school for at least 50% of their commute over two weeks. During that time, the Lombard police share bike safety tips during recess and the PTA Wellness Committee hosts a bike decorating day. Those who meet their biking goal can earn a gift card from J&R Cycle in Villa Park. In 2013, due to the success of the program, the school had to borrow bike racks from other schools to accommodate their growing need as the program flourished. Today, they have enough of their own racks and are a huge biking community. This fall the village of Lombard funded three new ADA crosswalks along with two blinking light crossing signs at the intersection of Madison and Stewart. A crossing guard is also on duty on school days to help students access safer passage to and from school. Partnerships like these are priceless and can lead to changes that create healthier and safer communities! The Illinois State Board of Education (ISBE) is seeking public comment on the rules that are being written for the implementation of PA 100-0465 Evidence-Base Funding Bill (formerly known as SB1947). This is the bill that reduced the required number of days of P.E. from daily to three. It allows more students to exempt out of P.E. and lifts the limitations on P.E. waivers. Before the law can be implemented, rules that have been written ‘go out to the public for comment’. You have an opportunity to provide public comment on the rules. For more information on how to comment click here. In addition, the ISBE has released the results of the first year of fitness testing data per the law that Illinois Alliance to Prevent Obesity (IAPO), of which, FORWARD is an active member, helped to pass to require all students in grades 3 through 12 to participate in annual fitness testing. You can view information about the results and a spreadsheet of the results by school in the “quick links” tab of the ISBE Enhanced P.E. webpage. flavored milk with higher saturated fat and more calories. Your voice can make a difference to your child and your community. Click here to tell the USDA that kids deserve healthier school meals. This is a self-paced, expert-developed, ABP approved web-based QI activity. Complete the activity within your own practice on your own time. Accompanying education includes: Nutrition for Obesity Prevention and Treatment, Physical Activity Guidelines and Counseling for Children and Adolescents, and Connecting Patients to Community Resources. For more information click here . In collaboration with the Forest Preserve District of DuPage County and the Division of Transportation, the Geographic Information Systems Division has created a trail mapping application that enables users to actively navigate the trail system. The application provides locations of trails, bikeways, restrooms, parking and much more. To learn more click here for their informational brochure Or, try out the app here ! Join fellow gardeners at the GardenWorks resource center to exchange seeds that have been saved from individual gardens. Click here for more information. Discuss next steps for P.E. advocacy in Illinois. To learn more about this workgroup or P.E. advocacy, email janna.simon@iphionline.org . One of our biggest requests is how to get a walking program or organization started in a community. Learn how to get started and then hear tips from successful programs on lessons learned from their own experiences. This webinar is for those just starting out on the walking path as well as our more experienced advocates. Register today. Join students and advocates from around the state to speak with Illinois legislators in a strong, unified voice on prevention issues. Attend workshops and training in the morning and then put your skills to the test when you meet with your state legislators in the afternoon. For more information or to register, click here . While many employers offer Workplace Wellness Programs, few have the data they need to know what works and how-to implement best practices. Join American Heart Association and over 250 of Chicago’s leaders in Workplace Wellness as we learn from organizational health experts on how to get clear on what the elusive “wellness program” means. Register today. Learn to identify over 200 edible wild plants that grow in our bioregion, eat wild foods, and take guided plant ID walks every class! Register early to save! Learn how to transform any landscape into a permaculture edible forest garden. Register early to save. Connect with nature and the plants that nurture your well-being. Learn the nourishing and healing benefits of bioregional plants for maintaining health and healing common ailments; prepare herbal remedies; and learn about body systems. Register early to save. Grant funds from the Walmart Foundation are available to support children's health through park and recreation out-of-school time programs. Apply now. Come to Cincinnati, OH for the premier opportunity to learn, network and collaborate with likeminded leaders and food advocates. Register now. Stay Healthy and connect to nature. Click here to check out upcoming events and activities taking place in your local forest preserves . Too many children learn only superficial knowledge on the topics of bike safety. Ride Illinois, a statewide bicycle organization working with the Illinois Department of Transportation (IDOT) to improve roadway safety, has an easy way to help – while meeting Illinois Learning Standard 22A. Thanks to IDOT funding, up to $250 stipends will be awarded for teachers to use the bike safety quiz. Apply today. 5-4-3-2-1 Go! ® is a public education message with recommendations for children and families to promote a healthy lifestyle. For helpful resources and ideas on how to incorporate this message in your DuPage County organization click here . Do you subscribe to the IMPACT DuPage Newsletter? Help market tFORWARD! Do you know of an upcoming event or health fair in DuPage County? We have marketing materials available for our coalition members. Please contact us if you are interested in distributing health and wellness materials at an upcoming event. Call us at 630.221.7550 or email healthpromotions@dupagehealth.org .